I made my first “homemade” cranberry sauce tonight. It turned out really well! I’m not a fan of the jelly cranberry sauce from a can, but I really like other things with cranberry, so I thought I would try to make my own. I added a hint of nutmeg and cinnamon and that made all the difference in the world. Optional additions: Orange zest, raisins, blueberries, cinnamon, nutmeg, and/or allspice. 1. Rinse cranberries. Throw away any damaged or bruised cranberries. Pour the water, orange juice and sugar in a medium saucepan on high heat and bring to a boil. Stir well to dissolve sugar. 2. Add the cranberries to the pan and bring to a boil. 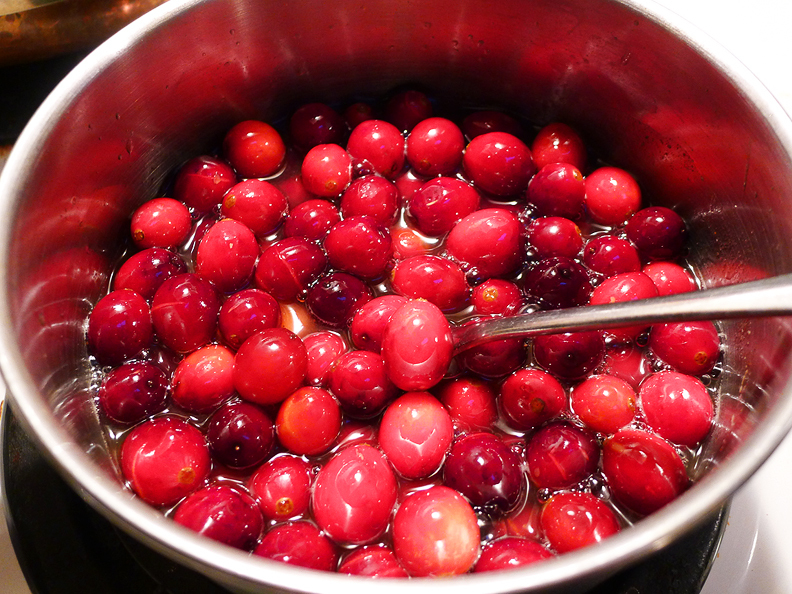 Lower the heat and simmer for 10 minutes or until most of the cranberries have burst. I mushed them up a little bit once they were soft. 3 You can leave the cranberry sauce as it is, or add some other fun ingredients. You could add raisins or even blueberries for nice sweet flavor. I love cinnamon and nutmeg, so I added a bit of each of those to mine. 4. Remove the pan from heat. Let cool for a few minutes, then transfer to a bowl to put in the refrigerator. The cranberry sauce will continue to thicken as it cools. It will be ready to serve after 30 minutes or so. 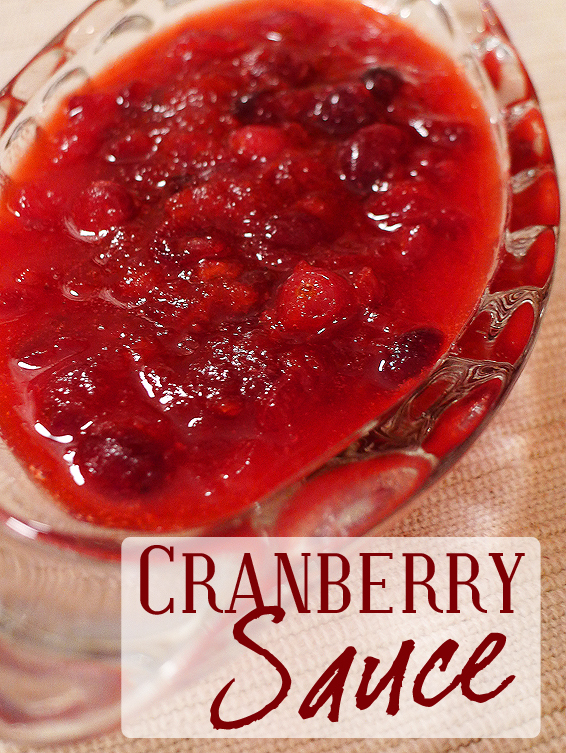 This entry was posted in holiday, recipe and tagged cranberry, holiday, recipe, sauce.